Been taking for around 4 weeks now, and noticeable difference. Definitely recommend. Protein shake, very easy to mix! Yes I know inside is powder but for some reason I get a bad reaction after taking the powdered stuff and after a couple of days of this I don't. Bad reaction in terms of slight light headedness and queezy stomach for about half an hour. These are easy as pie to swallow and completely tasteless. Taking 7 per serving looks a bit mad but it's literally 5g so just forget the 7 tablets and think of that. Effectiveness yet to be seen but we all know what creatine does. This is just a better delivery method. Any liquid for easier swallowing. Moved from powders to pills, better controlled portions. Been using these about a month or so now. Not the easiest to swallow as they seem to stick to your tongue and don't taste great. Apart from that they are great, they have helped with my recovery and virtually don't feel any doms. Also they have helped me lift more and added mass to me. I have just got a 2nd bottle! Great value, essentially tasteless, convenient! RECOMMENDED! Easy to take tablets. Don't understand why the need to take 7 tablets ? Why not increase strenghth of tablet and reduce amount of tablets to swallow ? 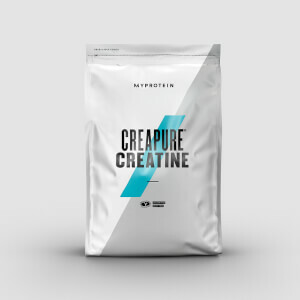 I have been taking Creapure for 3 weeks now and do not find any significant difference when training. Not sure if it takes longer to kick in ? Used to take the powder form as it has helped me gain bulk and aids my recovery, but having a purer form in a pill supplement is much better and easier to take after workouts. Definitely recommend!